Looking for somewhere to escape to, a room you can call your own. But but no extra space at home? Why not create your dream room out in the garden. This dream could easily be within your reach thanks to Waltons, who are giving one lucky winner the chance to win their very own Dream Garden Room. 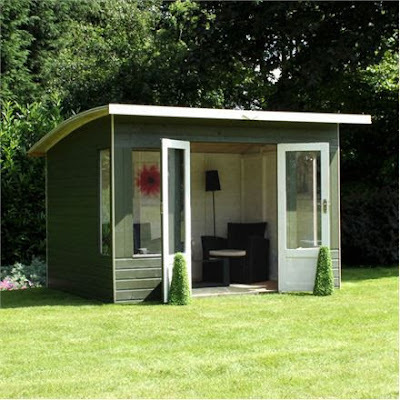 For your chance to win a Waltons 10 x 8 Helios Summerhouse, Waltons want you to design your own themed Dream Garden Room. By creating your own Pinterest Board and pinning your favourite images, helping to capture your special dream room. Remember to to include a pin of your favourite Summerhouse from the Waltons website. The prize also includes £250 of John Lewis vouchers to make your chosen dream a reality. Wow what a prize! Remember to follow Waltons Dream Garden Pinterest Board. First you need to decide the theme your Dream Garden Room will take. Maybe you are looking for some peace and quiet, your own Dream Garden Yoga Retreat Room, or are you a geek loving sci-fi addict looking to create a new Dream Garden Sci-Fi Universe Room. There is a whole host of possibilities. I have been busy putting my own Pinterest board entry together, I decided to create my Dream Garden Vintage Reading Room. I think it has the right balance of relaxing, cosy and vintage, yet a quiet and peaceful feel to it. A place I can read to my hearts content, yet far enough away from my wi-fi I do not get distracted. You can see my pinterest board below, click on it to see it in all its vintage glory. Follow Garden Tea Cakes and Me's board My Dream Garden Vintage Reading Room on Pinterest. Full details of how to enter the competition including the important terms and conditions can be found on the Waltons blog, be sure to follow the instructions to submit your completed entry. You have plenty of time to put your entry together, closing date is 7th September 2015. Who would not want to win such a fabulous prize, go on get pinning and good luck! If you are not lucky enough to win you can still create your garden room with Waltons the UKs biggest outdoor building supplier, they have an extensive range of Summerhouses available. You have made a great selection there. Good luck with the competition. We need to work on our garden. I wrote a post about that some weeks ago. Good luck with this. I wish I could do somsthing like this in my garden! I love your ideas, they are really bright and unique. Good luck, I'm sure you will do well! What an amazing prize, that is just so gorgeous.